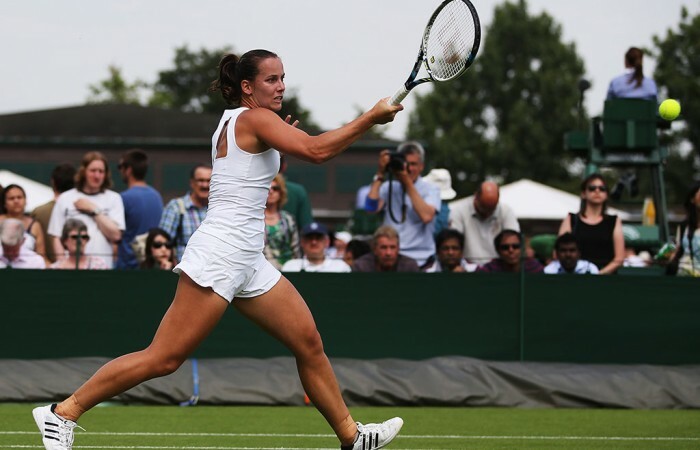 Australian women Casey Dellacqua and Jarmila Gajdosova have both enjoyed first round wins at Wimbledon. 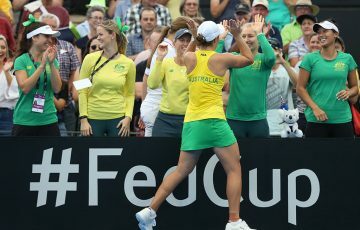 Dellacqua showed more of the form that saw her climb to a career high ranking of world No.36 in the latest WTA rankings, with the West Australian saving a match point as she recorded a 3-6 7-6(3) 6-3 win over 18-year-old Estonian Anett Kontaveit. 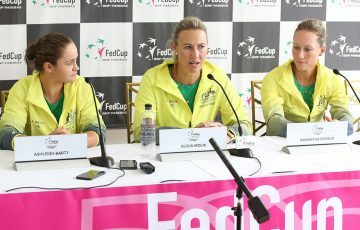 Perhaps providing some added incentive for Dellaqua was the fact that Kontaveit defeated her doubles partner, Ashleigh Barty, in the final round of Wimbledon qualifying last week. 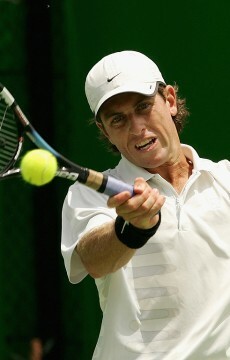 Today’s win marked the 10th time this year that Dellacqua has claimed a first round win. 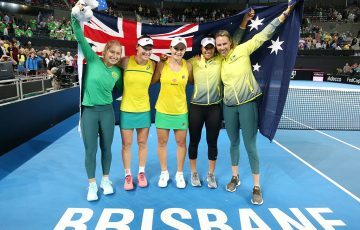 Composure under pressure would be the most pleasing for coach Shannon Nettle and Dellacqua’s many supporters; while she hit just one more winner to Kontaveit’s 37, Dellacqua’s 11 aces helped provide an edge at critical points of the match. “I probably didn’t have my best day but those are the days you’ve got to find a way and I did that,” she said. 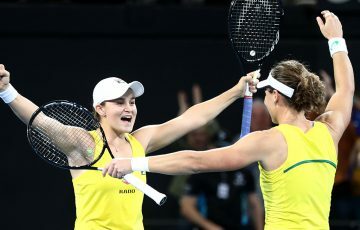 Dellacqua, who will play the winner of the Agnieszka Radwanksa and Andreea Mitu first round (Radwanska led 4-2 when play was suspended due to rain), will gain further rankings gains from today’s win, having lost in the final round of Wimbledon qualifying in 2013. There will also be some handy rankings points for Jarmila Gajdosova, who spent a significant chunk of 2013 sidelined with glandular fever. 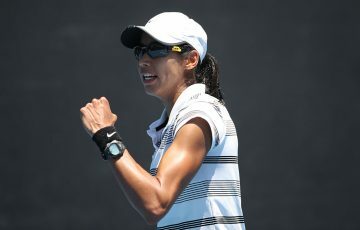 Having earned a Wimbledon wildcard with victory at the AEGON Challenge in Nottingham, the Australian showed more of her grass court prowess in a 6-3 7-6(6) win over Stefanie Voegele, the Aussie hitting 43 winners and 10 aces in her 106 minute progression. She’ll play either Svetlana Kuznetosva or Michelle Larcher de Brito next.